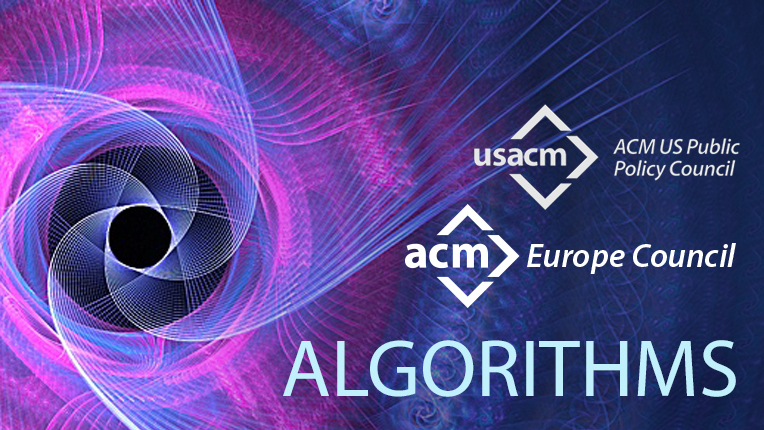 Recognizing the ubiquity of algorithms in our daily lives, as well as their far-reaching impact, the ACM US Public Policy Council and the ACM Europe Council Policy Committee today issued a joint statement with a list of seven principles designed to address potential harmful bias. The goals of the statement include: providing context for what algorithms are, how they make decisions, and the technical challenges and opportunities to prevent and mitigate potential harmful bias. The ACM US Public Policy Council approved the principles earlier this year. Today’s announcement demonstrates and affirms their shared support for principles to help minimize the potential for harm in algorithmic decision making. Algorithms, the set of instructions computers employ to carry out a task, influence almost every aspect of society. The explosive growth of data collection, coupled with increasingly sophisticated algorithms, has resulted in a significant increase in automated decision making, as well as a greater reliance on algorithms in human decision making. Industry forecasters believe software programs incorporating automated decision making will only increase in the coming years as artificial intelligence becomes more mainstream. One of the major challenges of this emerging reality is to ensure that algorithms do not reinforce harmful and/or unfair biases. A few examples of potential algorithmic bias that have been featured in government reports and news articles include: (1) job hunting websites: Do these sites provide more listings of high-paying jobs to men than to women? (2) credit bureaus: Do the datasets that algorithms weigh in determining credit scores contain prejudicial information? (3) social media: What factors go into determining the news items that are served up to users? The Statement on Algorithmic Transparency and Accountability was designed to be consistent with ACM’s Code of Ethics. The ACM U.S. Public Policy Council serves as the focal point for ACM’s interaction with the U.S. government in matters of U.S. public policy related to information technology. ACM US Public Policy Council statements represent the views of the Council and do not necessarily represent the views of the Association. The ACM Europe Council Policy Committee is a standing committee of the ACM Europe Council. It serves as the focal point for ACM’s interactions with governmental bodies in Europe, the computing community, and the public in matters of European public policy related to computing and technology. ACM Europe Council Policy Committee statements represent the views of the Committee and do not necessarily represent the views of the Association.